!! Stacey Q concert this Saturday, July 29 !! 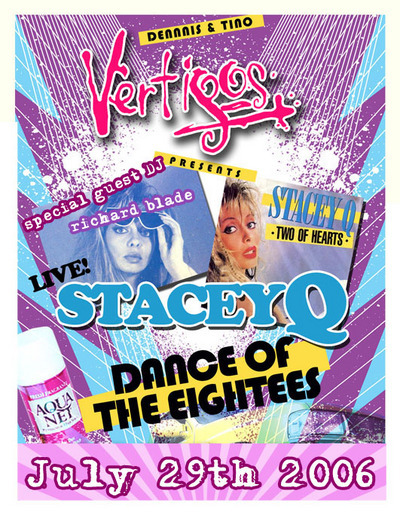 I am so jealous of everyone in the Los Angeles area who can go to Vertigo’s and see Stacey Q this Saturday night. I would pee myself if I could go to that show. I guess I’ll just have to be content to be her MySpace friend. Be the first to comment on "Stacey Q concert this Saturday, July 29"